The peaceful image of a 9th century stone Borobudur Buddha head, with its slight hint of a smile, tight curls, full lips, third eye and long ears is iconic and endemic in Indonesia. 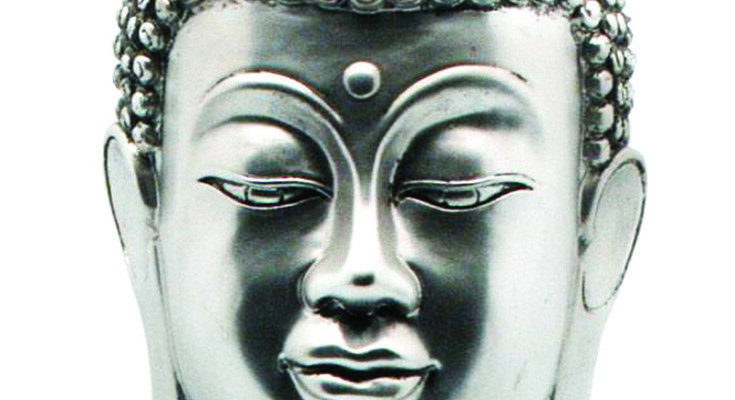 Rare and beautiful Borobudur Buddha heads are among the most desirable and expensive Indonesian art objects throughout the world. Luckily most Borobudur heads still rest upon the shoulders of the five hundred and four Buddha statues that adorn the world’s largest and most famous Buddhist Temple. As any visitor will notice, however, a significant number of heads and Buddhas are missing. Many of these were lost along with the temple after the demise of the Mataram Empire, an event probably caused by a major eruption of Merapi Volcano, which blew its top again last year, but others were victims of early “tourism”. As in other ancient monuments throughout the world 19th century travellers including Sir Stamford Raffles, the man credited for “discovering” Borobudur in 1814, had the habit of lopping off heads and bringing them home as souvenirs. This would only come to an end in 1932 when the colonial government passed a law to stop the practice. Amazingly and in spite of the fact that it would break the law, hundreds of “authentic” Borobudur heads are sold every year. 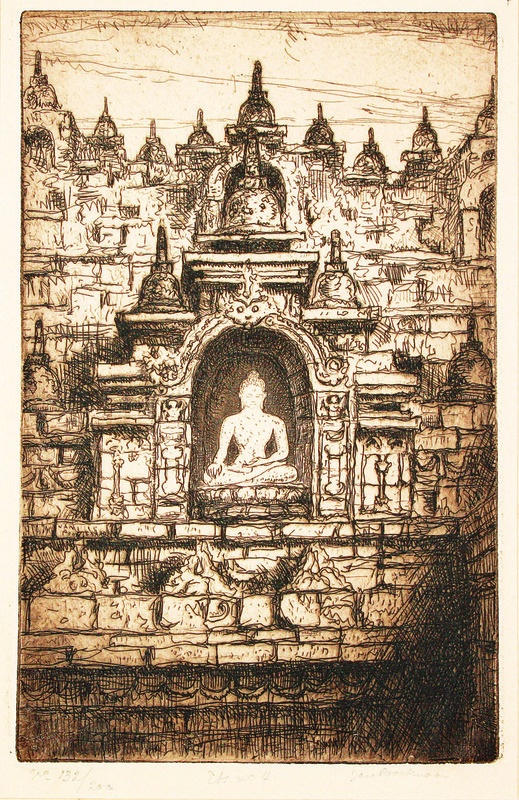 In fact so many have been sold in the last decades that not only every Buddha on Borobudur would be headless today, but so would ten to twenty other Borobudurs that do not exist. The vast majority of buyers are gullible foreign collectors who fall for the story that a priceless muddy replica was dug up in a village well and they have the good luck to be in the right place at the right time. Savvy enough to know they are valuable, they are seduced by the romance and dreams of big profits. The victims are clearly ignorant of the first rule of the art world—if it is too good to be true it probably is. The average price for a head bought in the back room of a fancy gallery in Jakarta is around $5,000. Considering that a documented Borobudur head fetched $600,000 in a Sotheby’s auction in New York in 2007 potential bargain seekers could better seek professional advice or even better a shrink. Don’t fall for Jakarta issued certificates of authenticity with big gold stamps either because few if any are worth more than the paper they are printed on. Faking is an ancient art practiced wherever there is a significant difference between true and false. In Indonesia the bad guys are not the artisans who make replicas but unethical middlemen who ‘process’ their work to make it look old to dupe gullible or greedy buyers. In fact most buyers who fall for these scams are accessories to the crime of defrauding themselves. 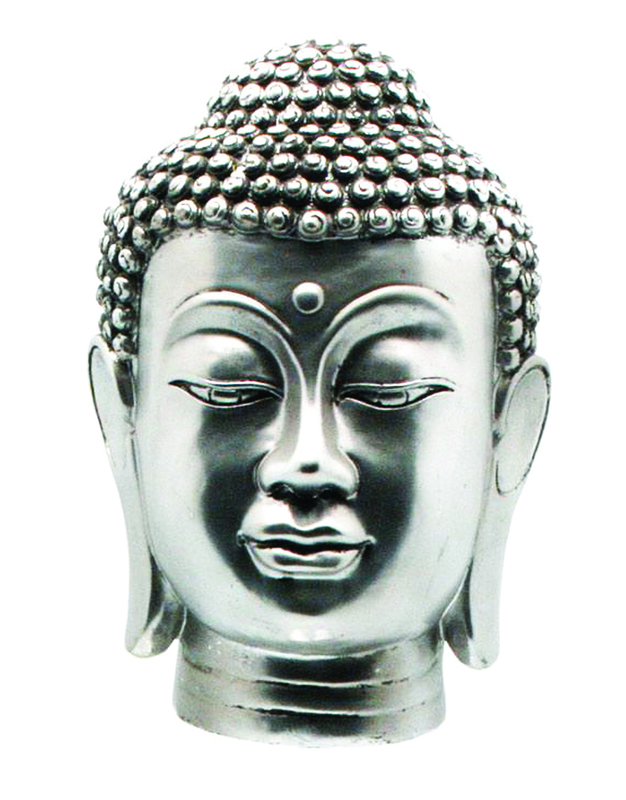 Want a beautiful reproduction of a Borobudur head? The very best artists in east Java only ask around $500 and cheaper versions that look like shoe boxes go for $50. The final choice belongs to you!